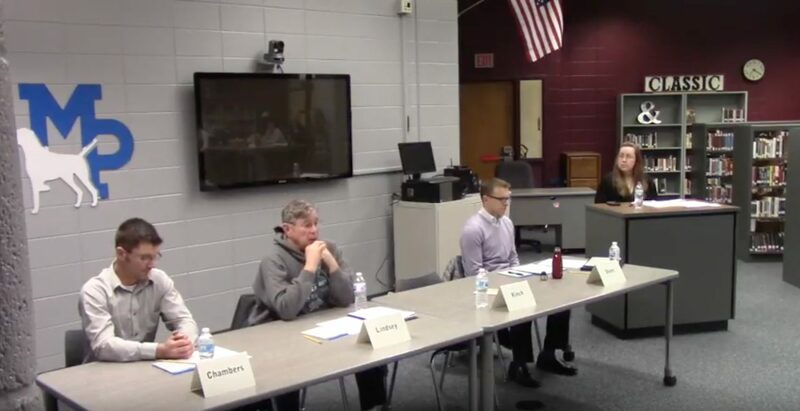 Tuesday, March 6 was the annual School Board Candidate Forum hosted by Mineral Point School District. Only three candidates appeared: Nathan D. Chambers, Everett R. Lindsey, and Aaron Dunn. Glenn E. Kinch did not attend. Stakeholders were invited to ask questions of the candidates. The election is Tuesday, April 3. The four candidates are competing for three seats.